If you're busy planning your summer vacation, remember that when you choose to book airfare will have a significant impact on how much you pay for tickets. 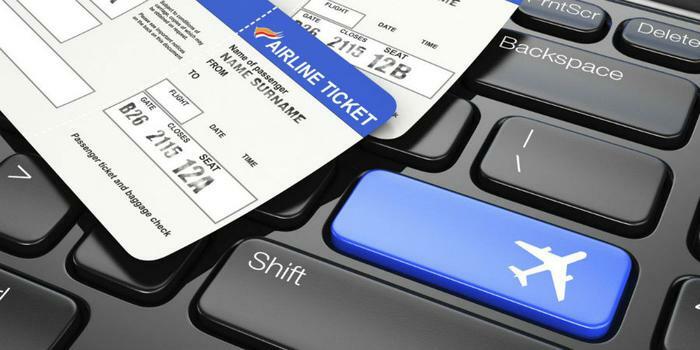 Each year, online booking company CheapAir.com analyzes millions of airfares to determine the best and worst times to buy tickets. For 2018, it found it pays to plan well ahead. In 2017, the best domestic fares were available approximately 54 days before departure. But this year, the company says you'll get the best price if you book 70 days before takeoff. Even the lowest fares don't stay the same. For any given trip, the lowest available fare will change an average of 62 times during the 11 months it is on sale. Each fluctuation will save or cost travelers an average of $36. “We hear from travelers all the time who are frustrated that a fare they saw one day is dramatically higher the next,” said Jeff Klee, CEO of CheapAir.com. “And it’s equally disturbing when you book a trip and find out two weeks later that the price has gone way down." Klee says understanding why airfares change will help you monitor available flights and find the booking sweet spot. Booking too early doesn't save you money, it actually drives up costs. Airlines want to fly with each seat filled. They also want to get as much money as possible for those seats. Much like a seafood market, it must set prices to attract as many purchases as possible before the fish spoils -- or in this case the plane takes off. Booking 169 to 319 days in advance of departure will get you the best seat selection, but tickets will cost, on average, $50 more than if you wait. If you book between 122 to 168 days ahead of time, ticket prices are only $20 more and you still have a great chance of getting the flight and the seat you want. If price is a bigger consideration than selection, consider booking your 2018 trip 21 to 121 days before departure. You may find fares move around a lot but are usually no more than 5 percent above the lowest price. Within 20 days of departure, fares generally begin to rise and seat selection is more competitive. Parties traveling together will likely be spread throughout the cabin. Waiting to within two weeks of departure is "playing with fire." CheapAir says you'll find fuller flights, but you won't find many deals. Fares rise dramatically in the last week before departure. Procrastinators will pay an average of $208 more for a ticket than those who bought tickets during the "booking sweet spot."